You will upload your final narrated PowerPoint presentation to a slide hosting service – either SlideBoom.com or AuthorStream.com – and create a specific URL for viewing the uploaded file. 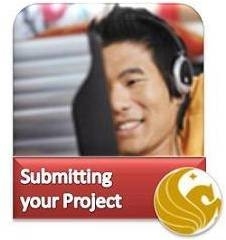 After you’ve uploaded your presentation to either SlideBoom.com or AuthorStream.com, a link (URL) will be created to your presentation. Copy that link, and submit it to your course instructor as instructed in your syllabus. TAKE THE POST-SURVEY to complete your participation in Teachers in Action. Be sure to answer to all questions on the Post-Survey, to receive credit. Thank you for your service with persons with disabilities and for making a difference in your community!